Thursday, May 30 is Game Night at the Fringe Bar Series. We’ll be playing poker with candy currency upstairs and I just spent an hour separating all the different delicious denominations. 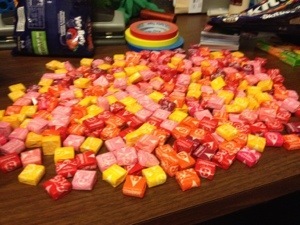 How many Starbursts do you think there are?